With room for 20 passengers and a compact design, this vehicle is perfect for travel through Chicago’s busy streets. Ride with friends and family for bachelorette parties, corporate conferences, sports events, and more. Everyone will remain together the entire trip and won’t have to worry about parking or navigation. To start planning your trip, call us today at 312-667-0906​ for a free, no-obligation quote. 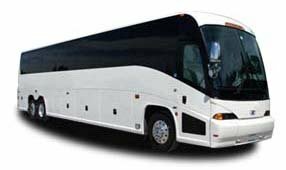 We specialize in transportation for school trips, sporting events, industry conventions, weddings, and more. Our staff will be happy to guide you through the reservation process, answer any questions you may have, and find the best bus to fit your group’s needs.